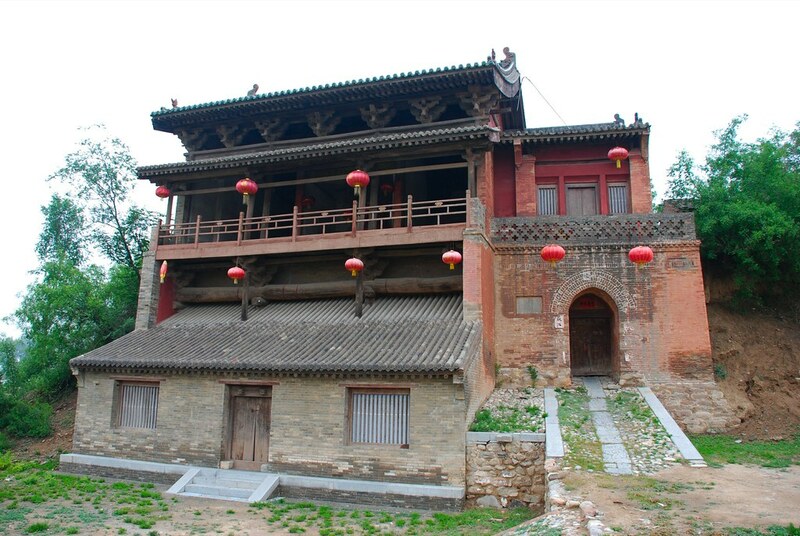 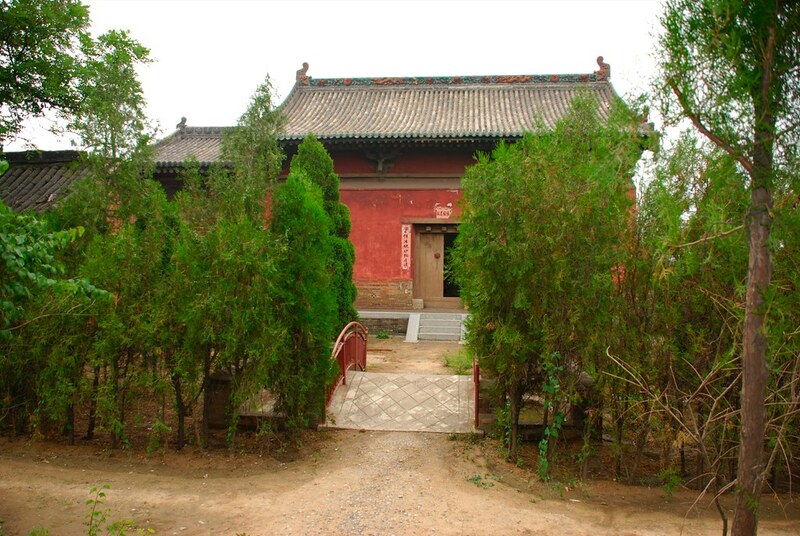 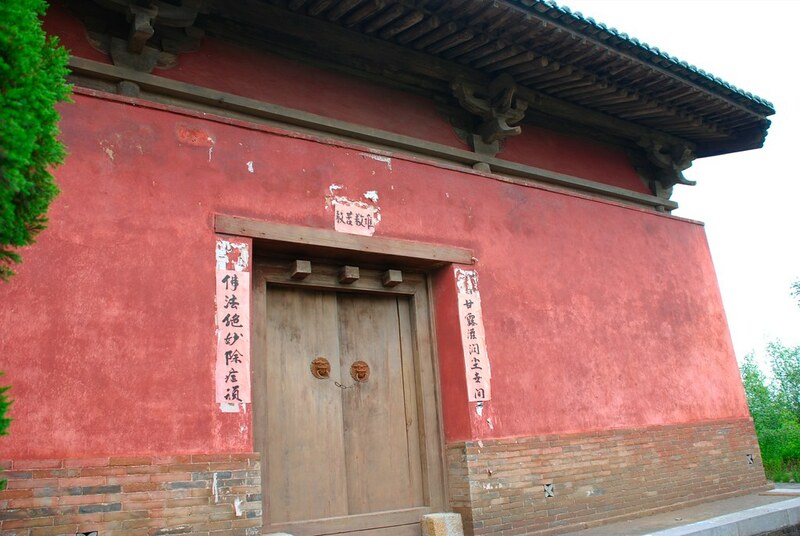 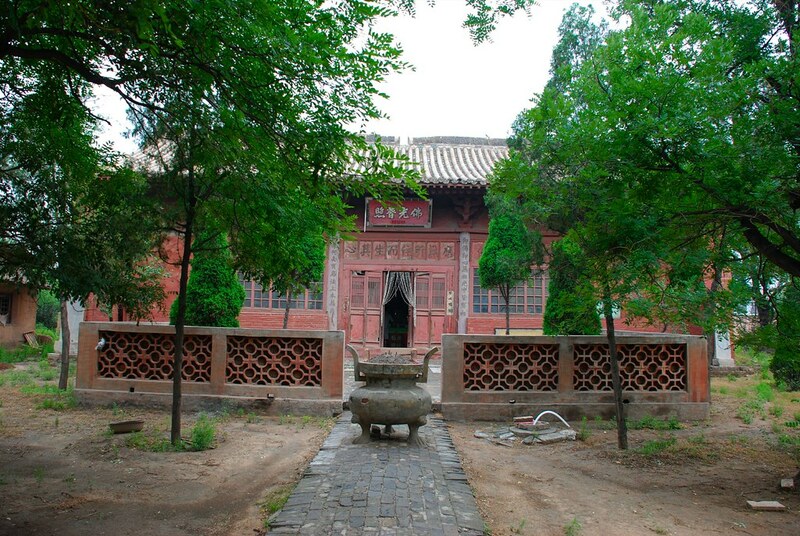 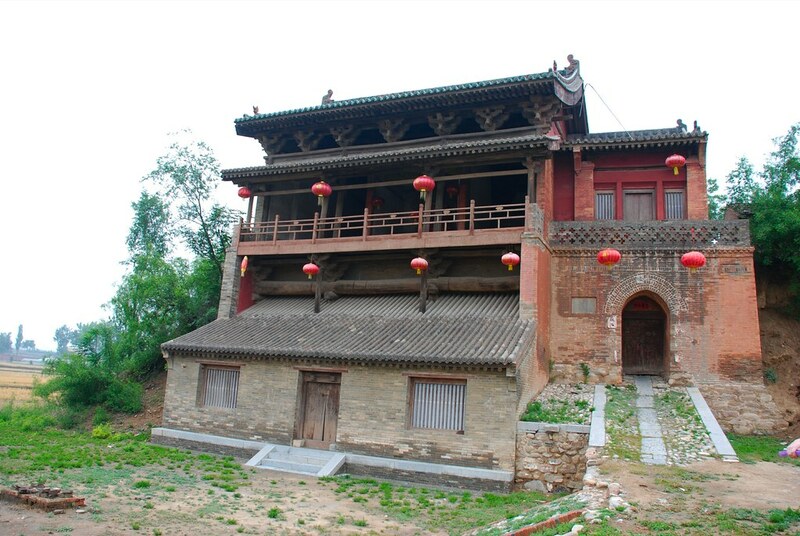 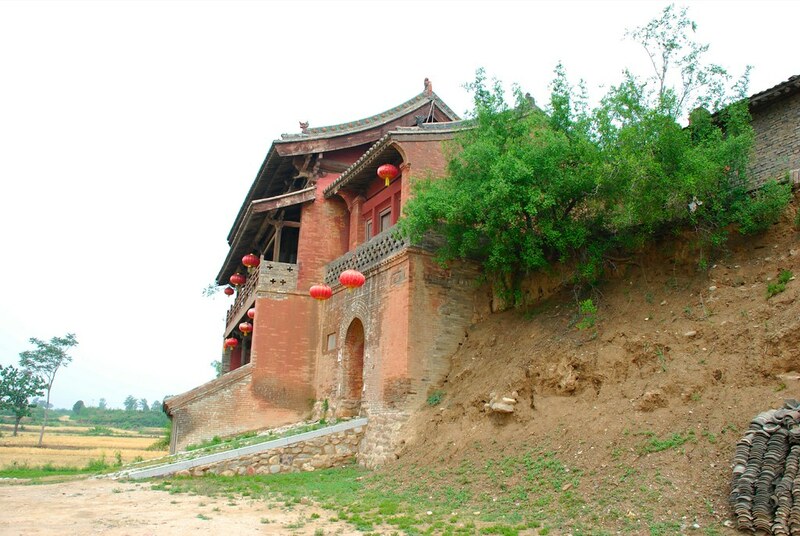 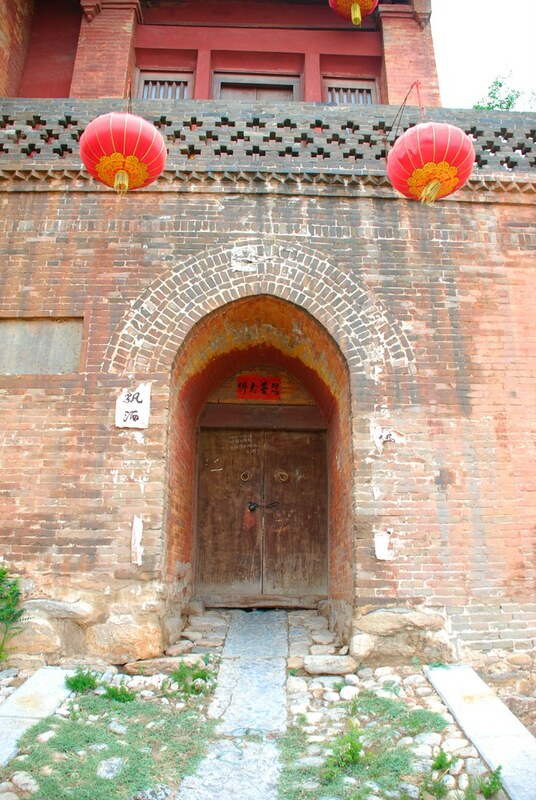 The Sandi facang Pavilion (三滴法藏阁) was established in the Jin dynasty, with significant restoration done in the Yuan dynasty. 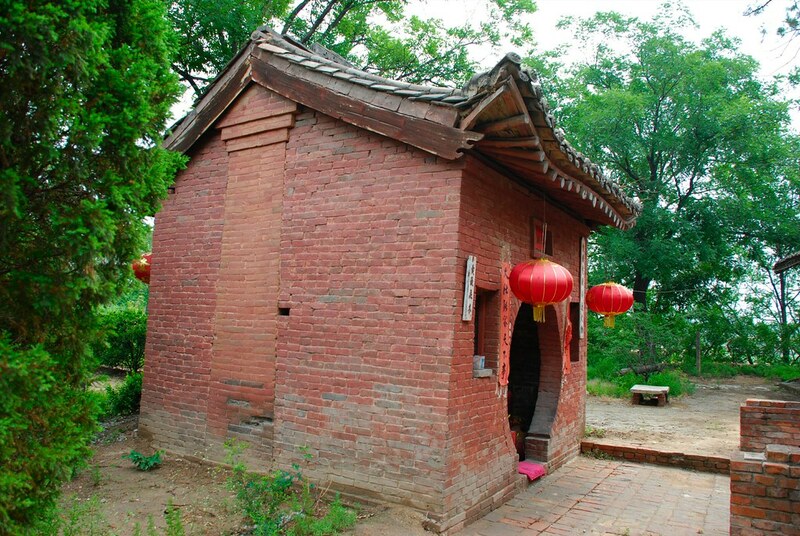 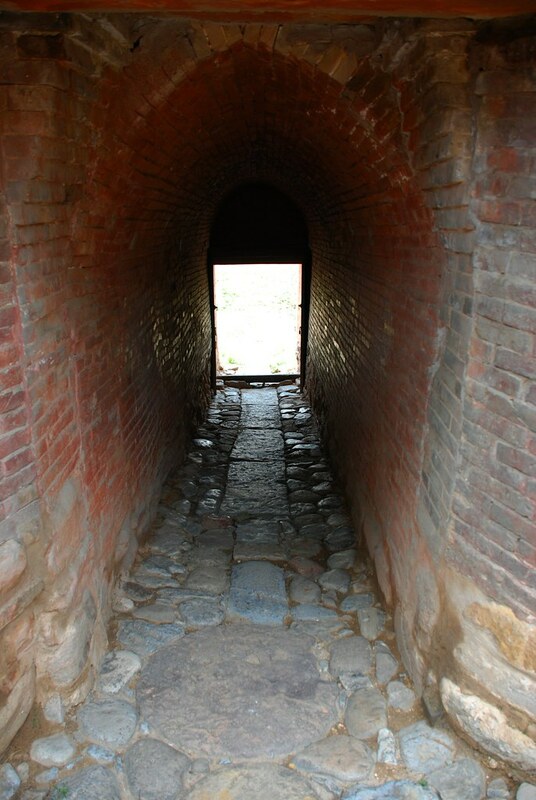 The pavilion was built against an earthen cliff on a 6.5 meter tall brick podium, and the center opens into a rectangular passageway. 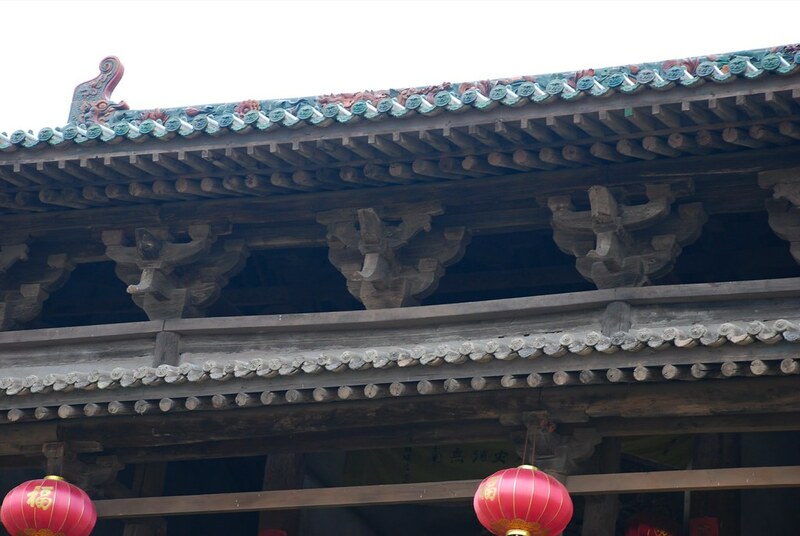 The body of the building has 2 floors, a 3-bay wide front façade with a depth of 6 rafters, and a triple eaves, overhanging gable roof, with the main ridge decoration composed of carved brickwork. 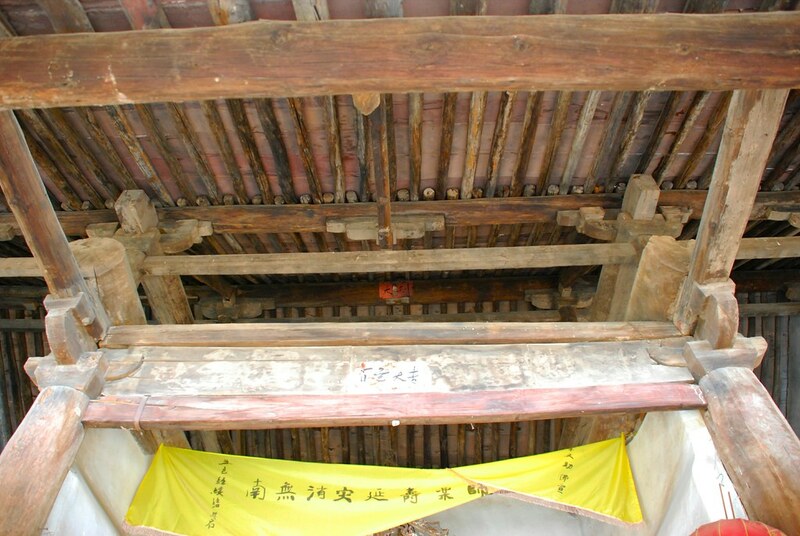 The structural frame uses a four-rafter beam facing a rufu 乳柎tie beam supported by three columns. 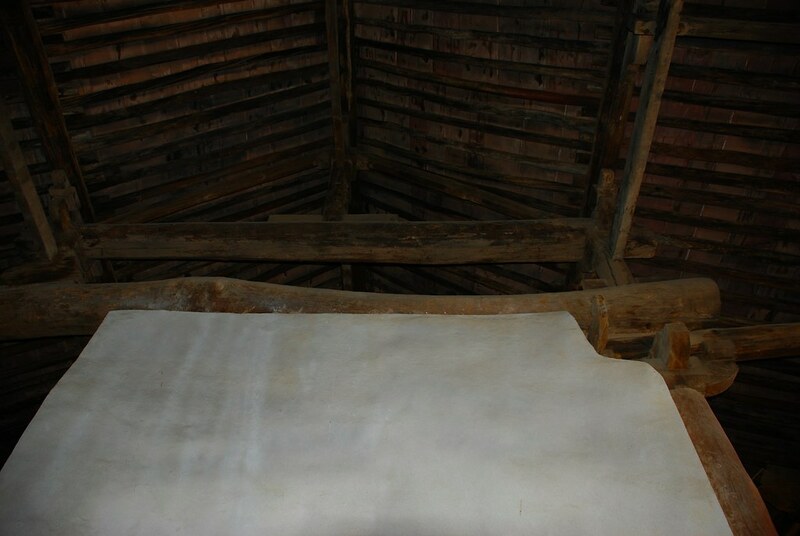 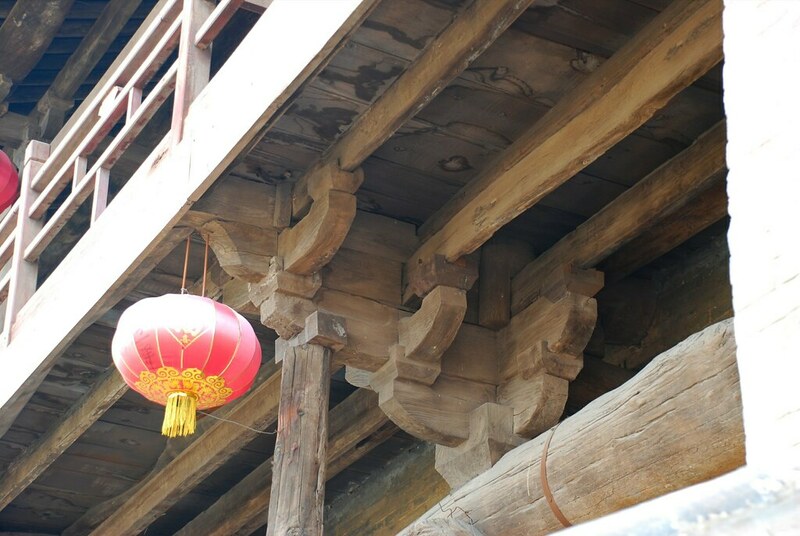 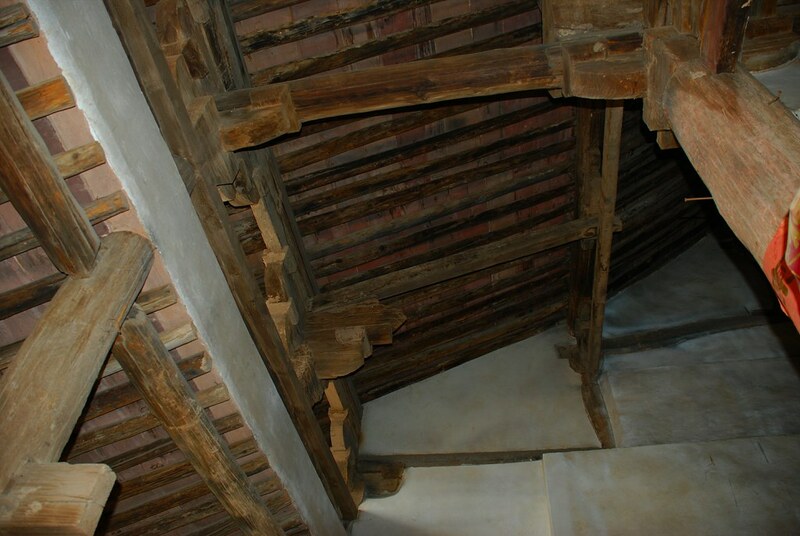 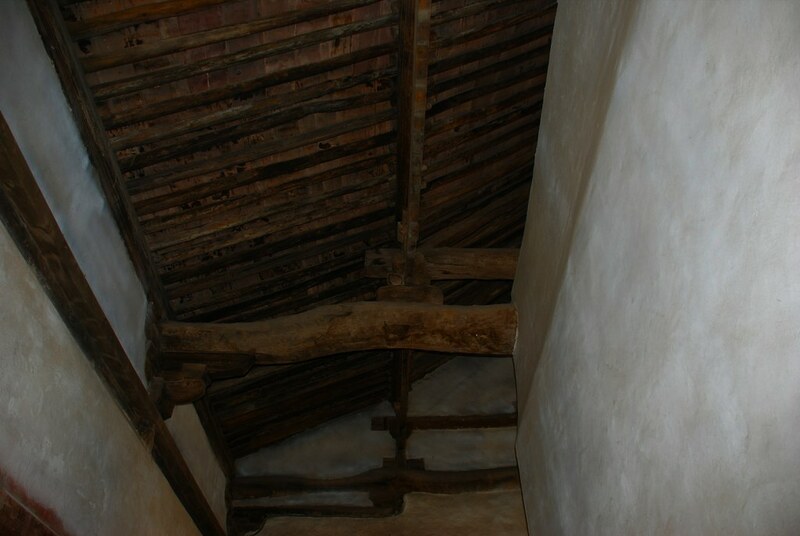 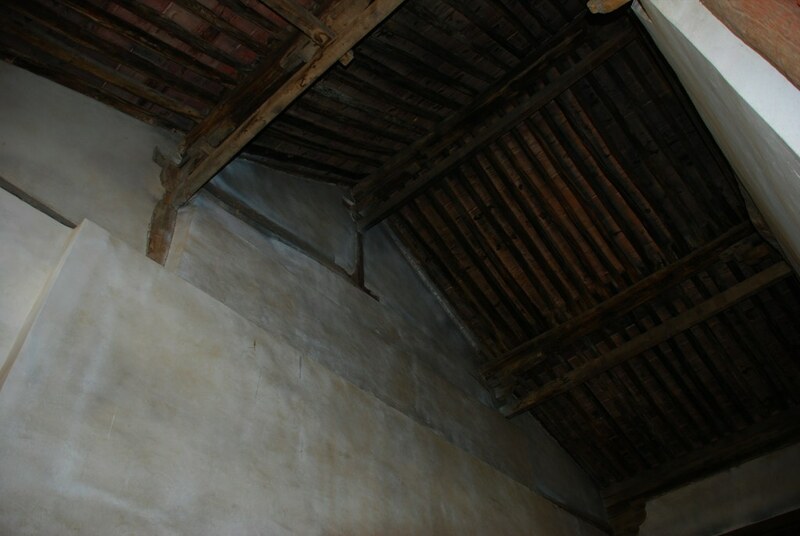 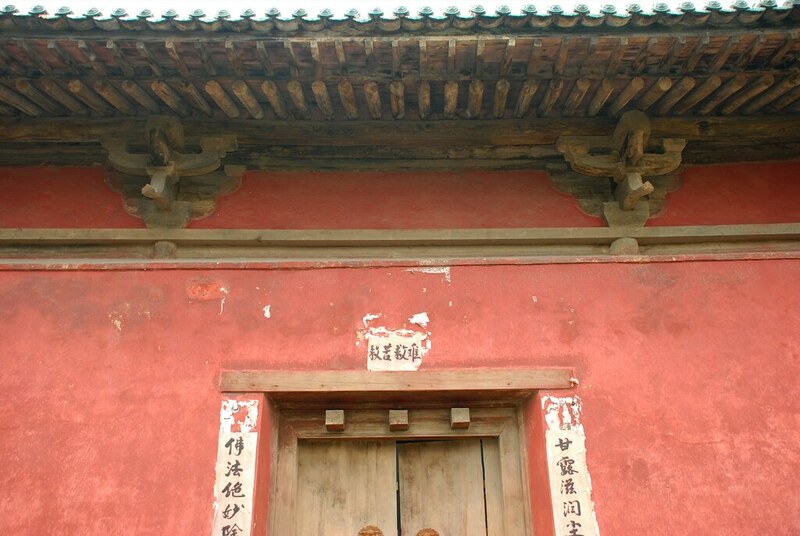 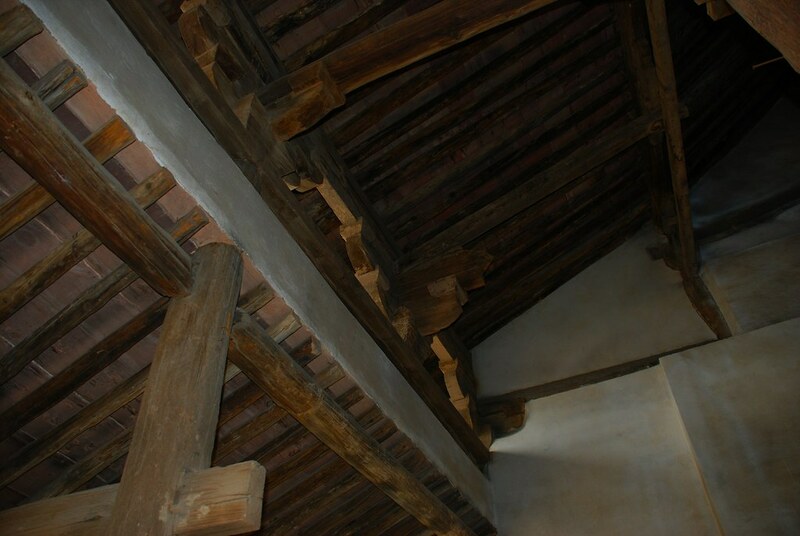 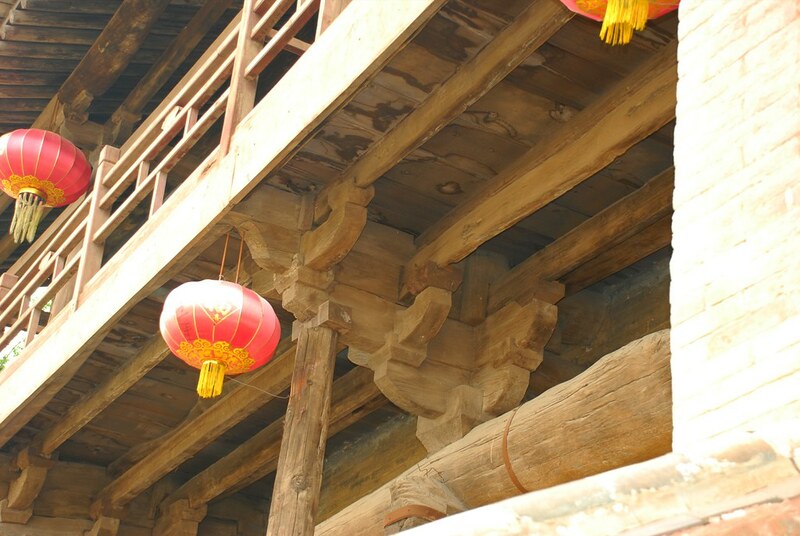 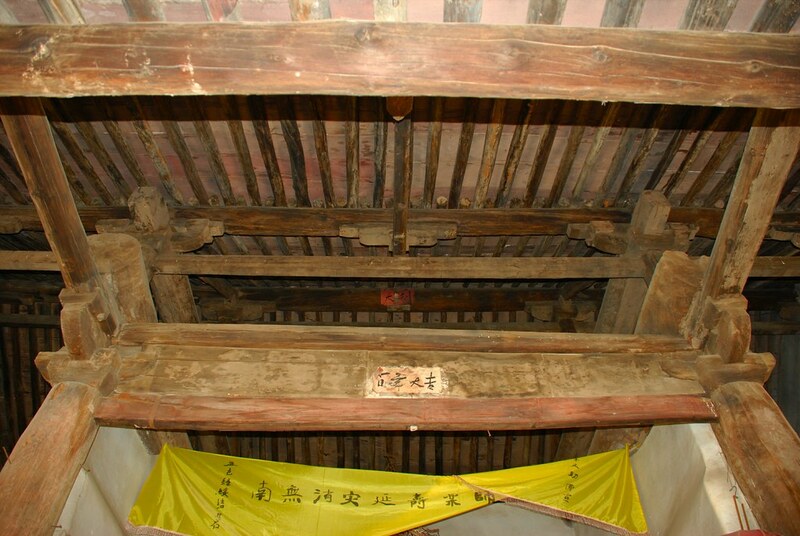 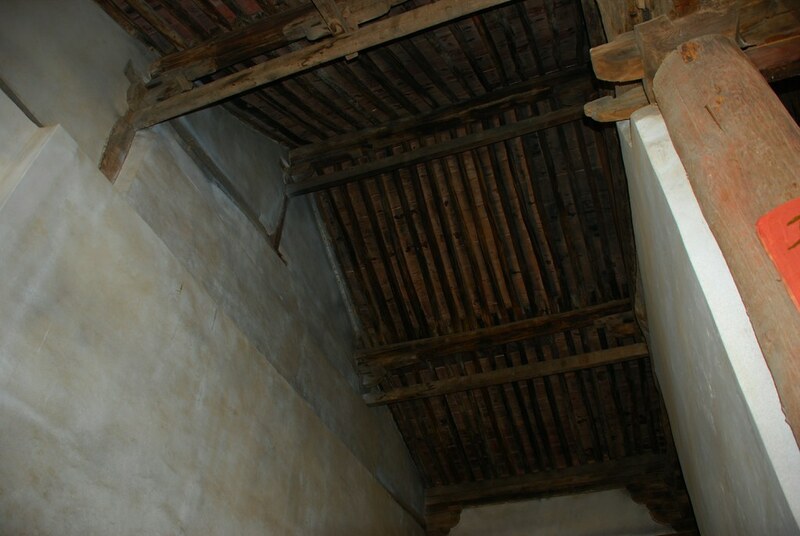 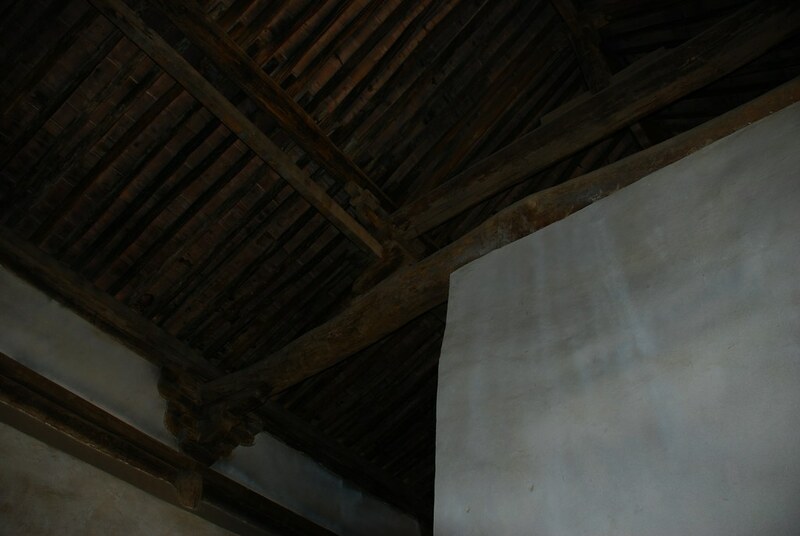 The first floor has a timber balcony (pingzuo 平座). 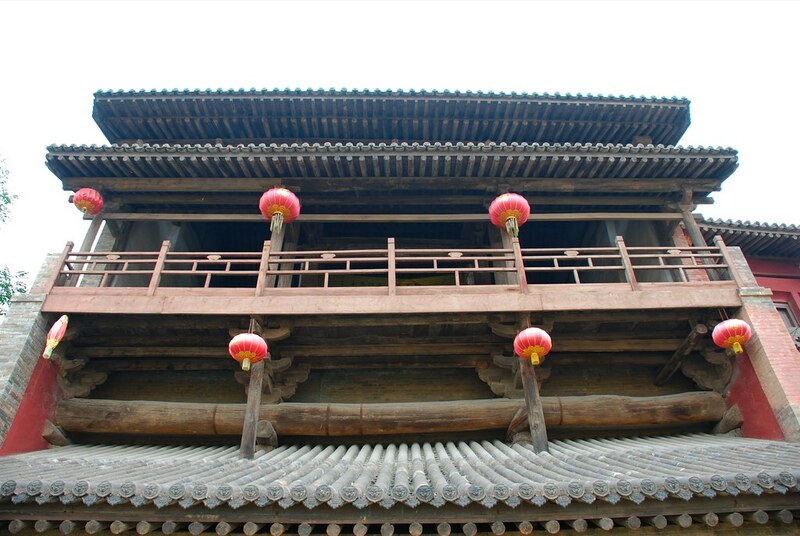 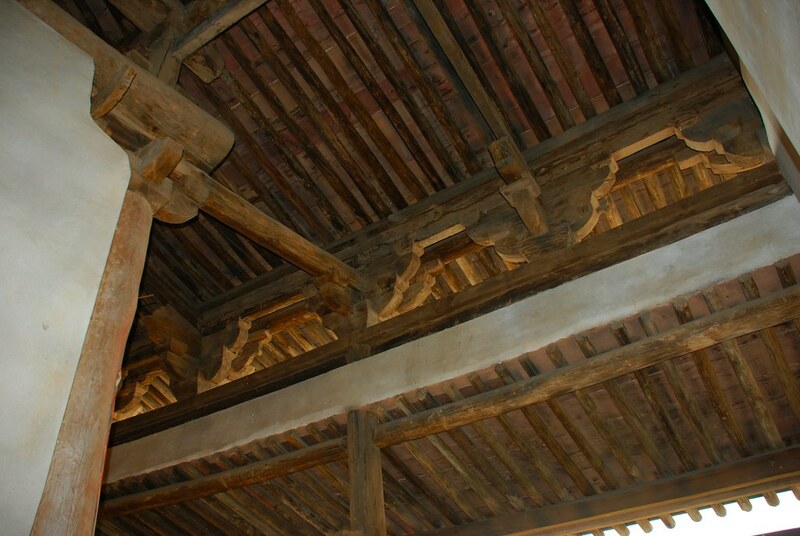 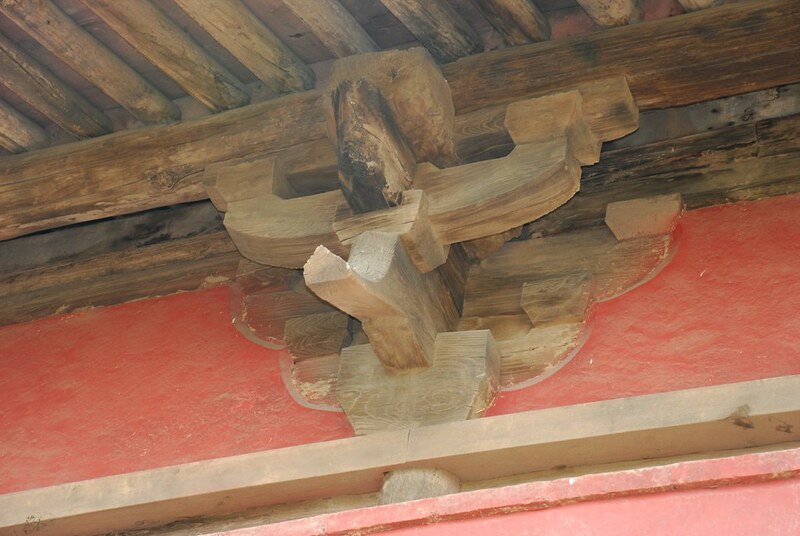 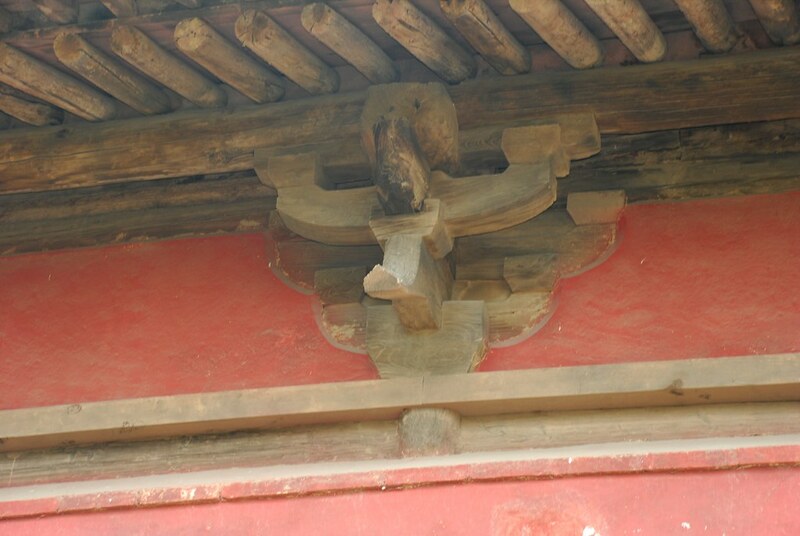 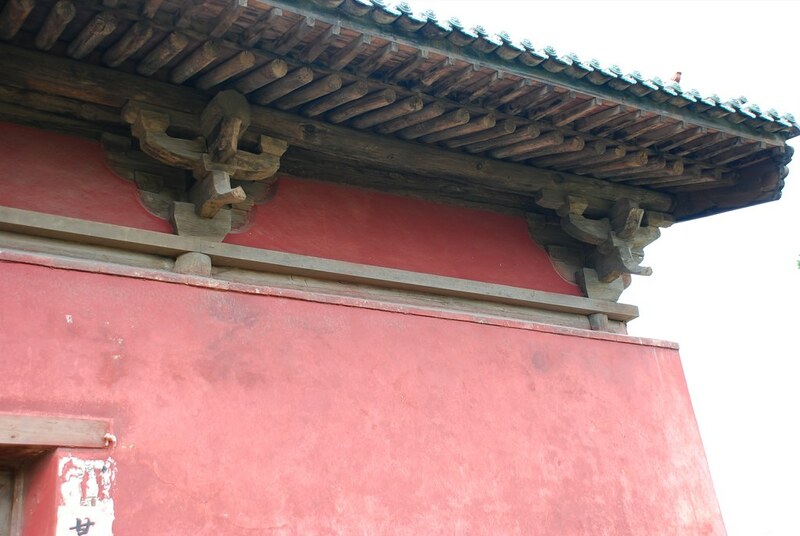 The upper eaves has a complement of five-layer bracket sets (五鋪作) with a single descending cantilever and single huagong; a single intercolumnar bracket set is in each bay. 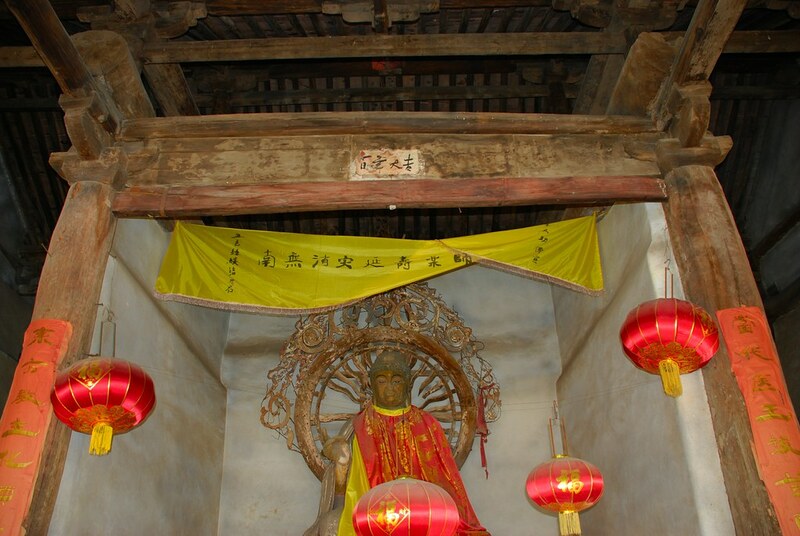 Within the western niche of the second story balcony images of Bhaiṣajyaraja (Yaowang 药王) and his attendants are venerated. 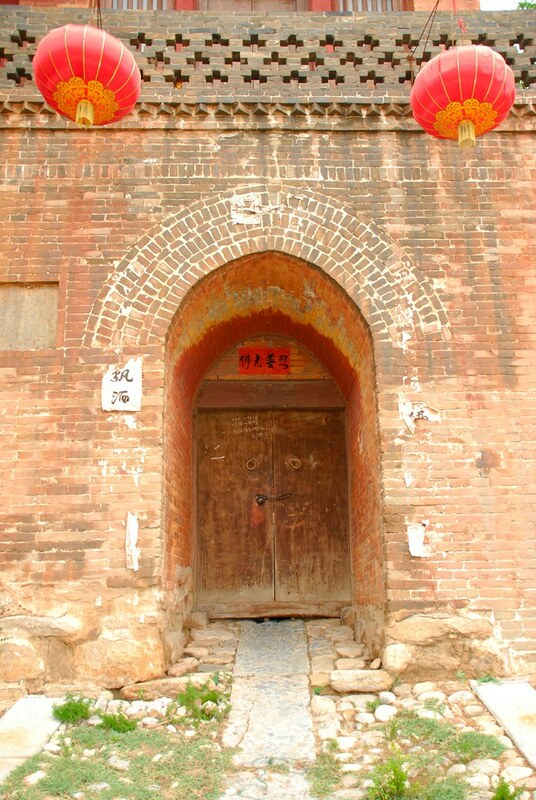 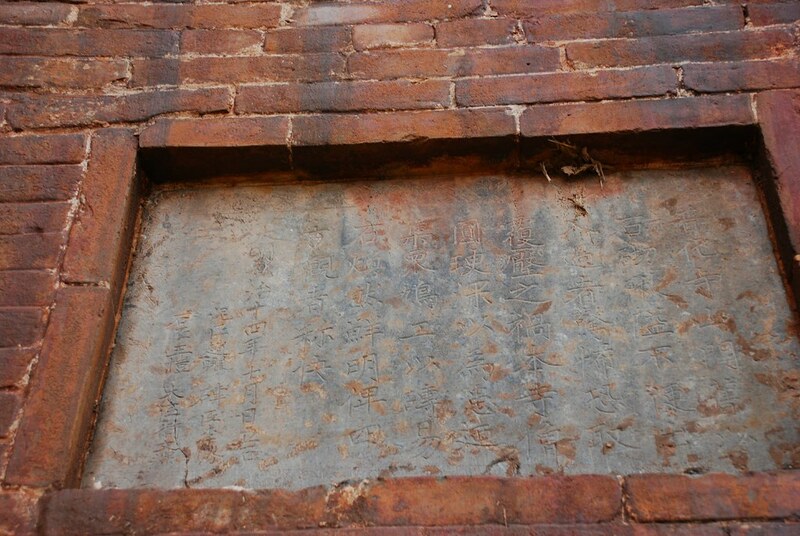 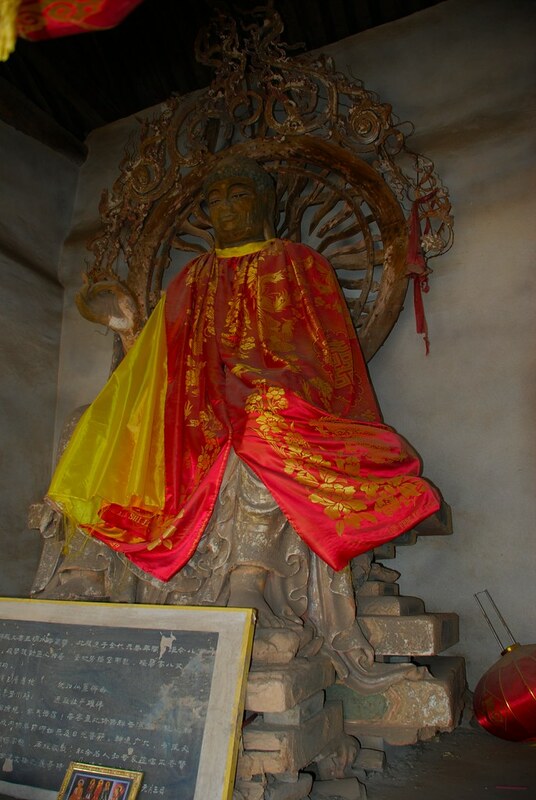 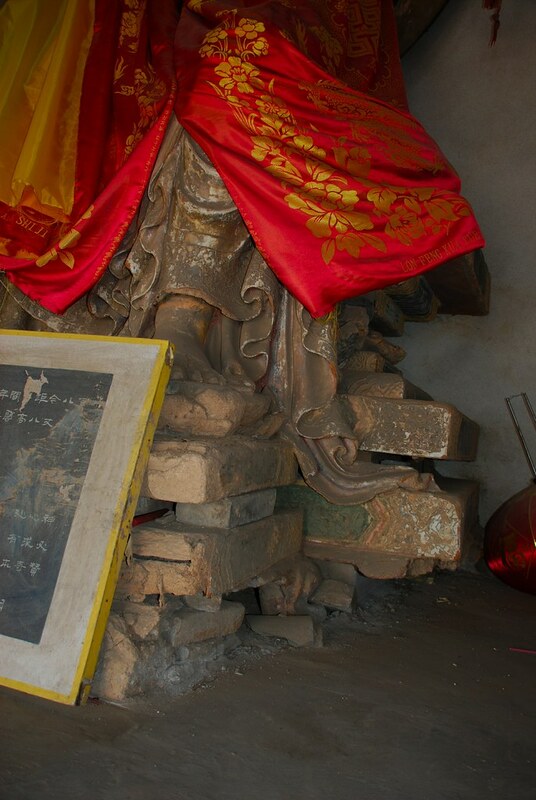 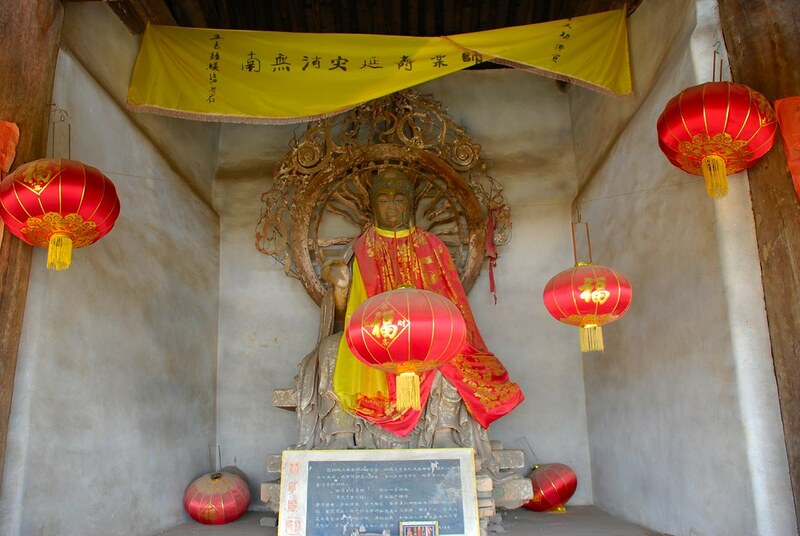 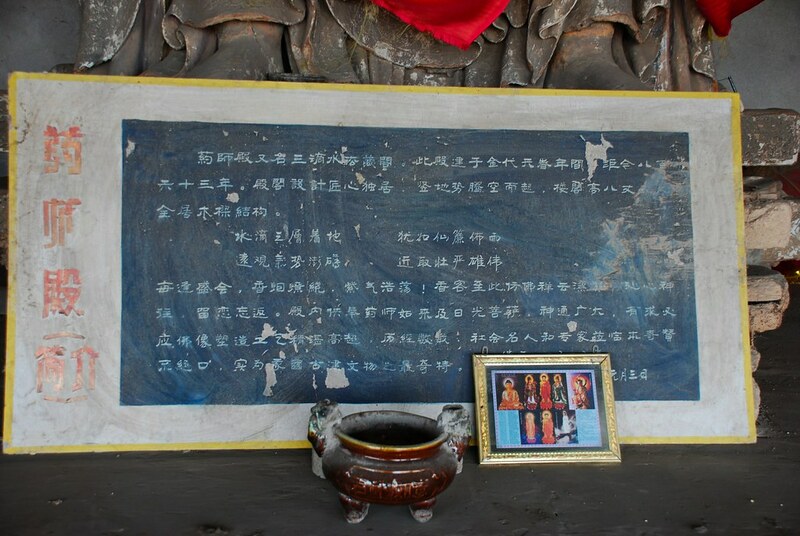 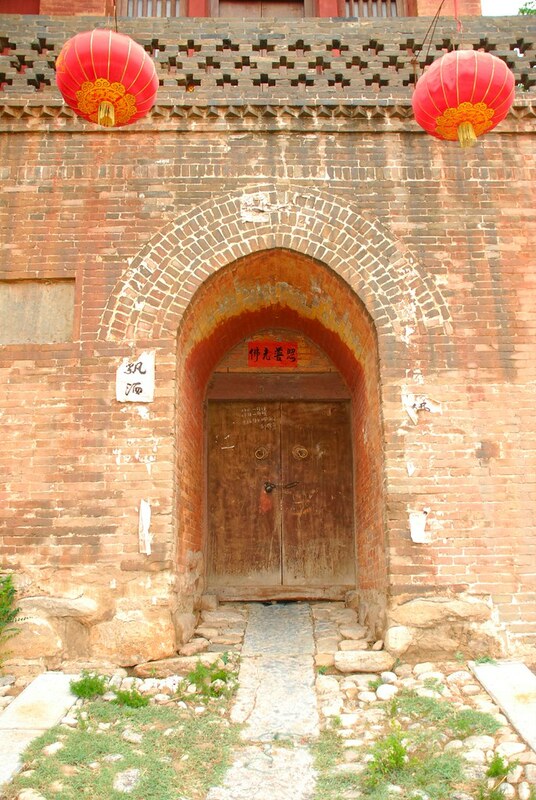 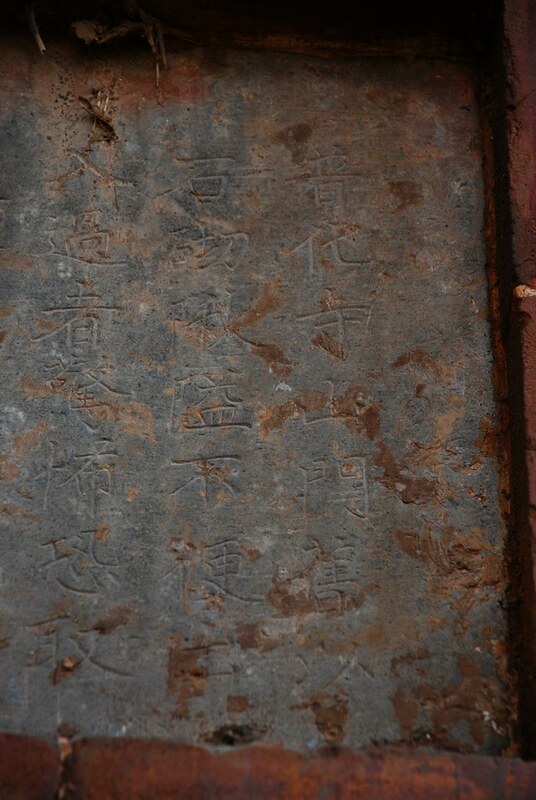 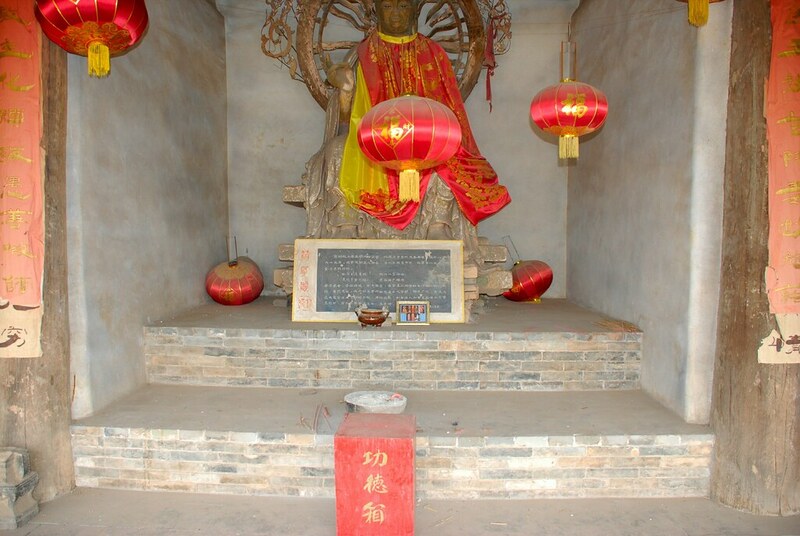 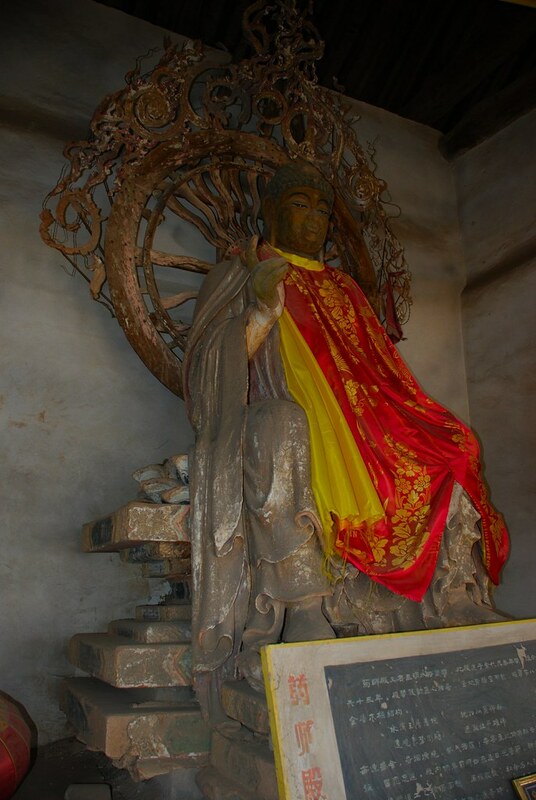 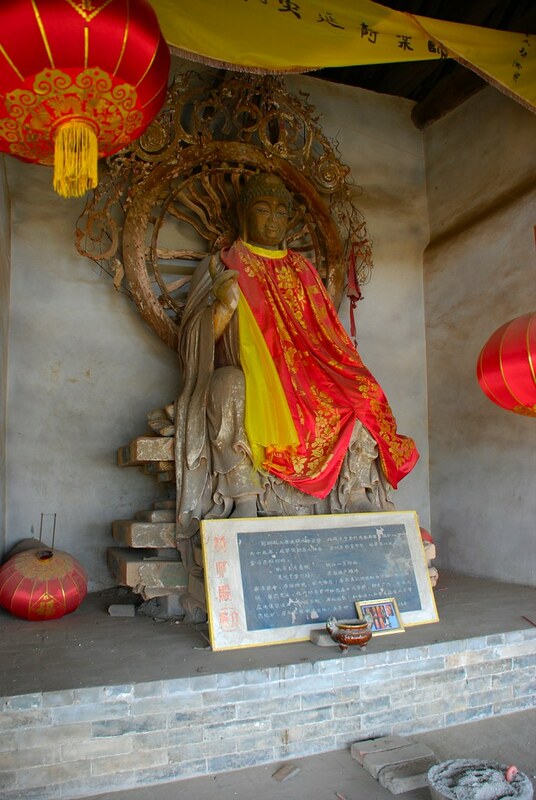 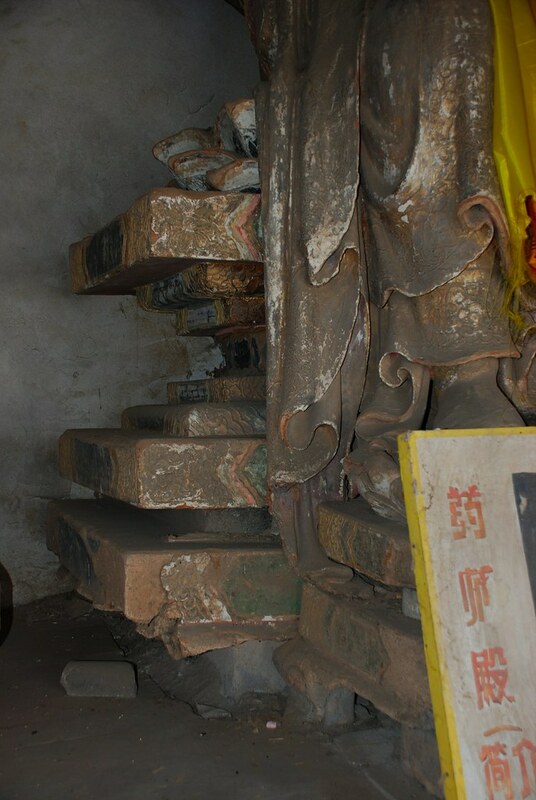 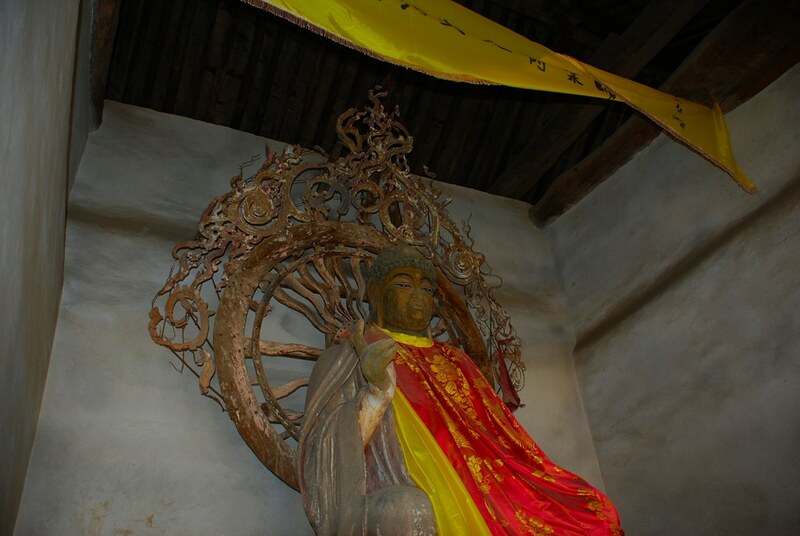 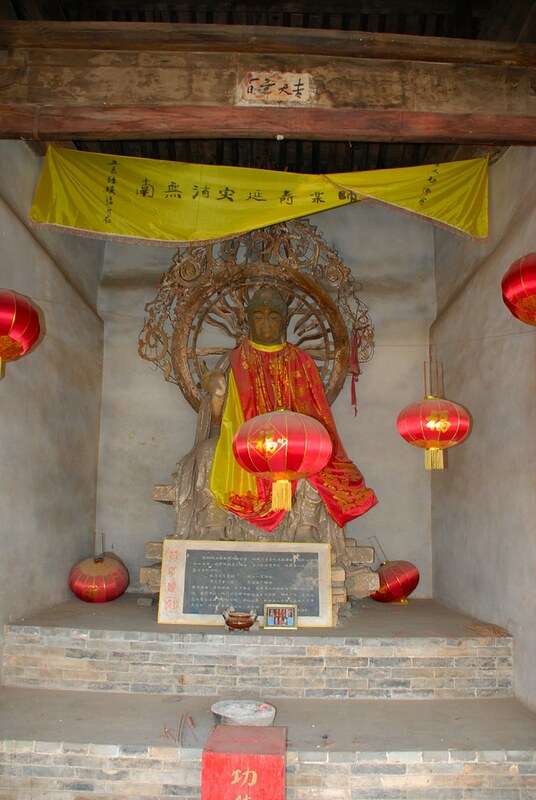 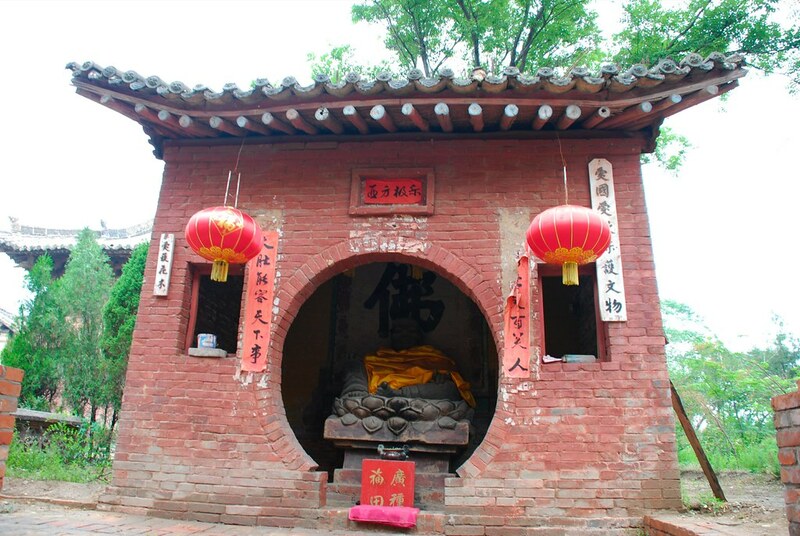 In the East Ear Hall images of Kṣitigarbha (Dizang 地藏) and Yama (Yanjun 閻君) are venerated, both are severely damaged. 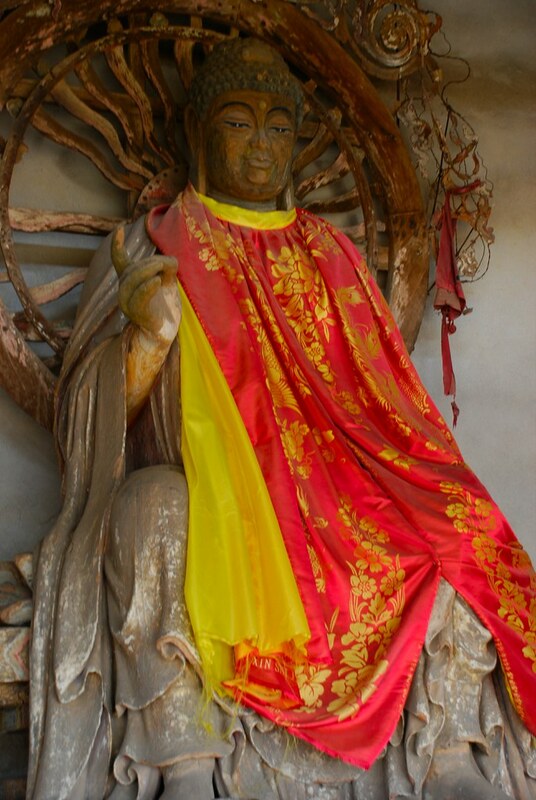 Translated by Lydia Ohl; edited by Cole Garrett, modified by TM 2018. 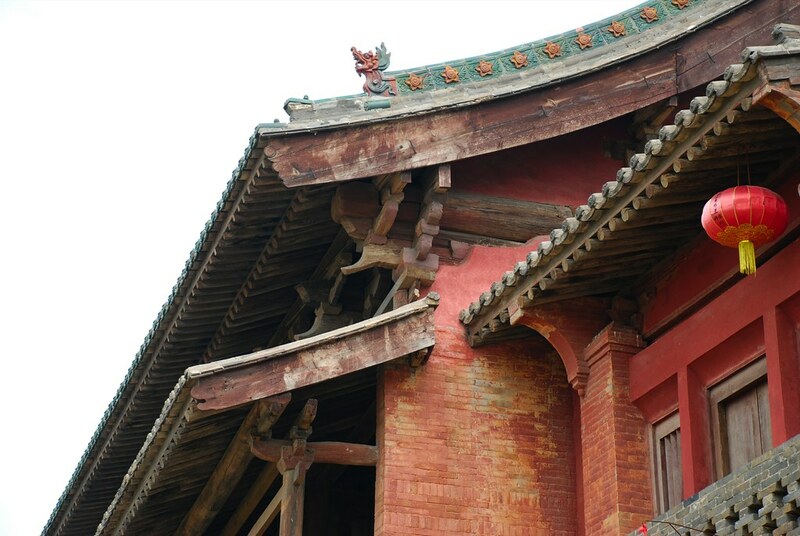 Axis: c, roof style: o-g, front façade: 36' 5"
“Baitai Monastery, Sandifazang Pavilion 白臺寺三滴法藏閣 ” in Architectura Sinica last modified March 21, 2018, https://architecturasinica.org/place/000126. 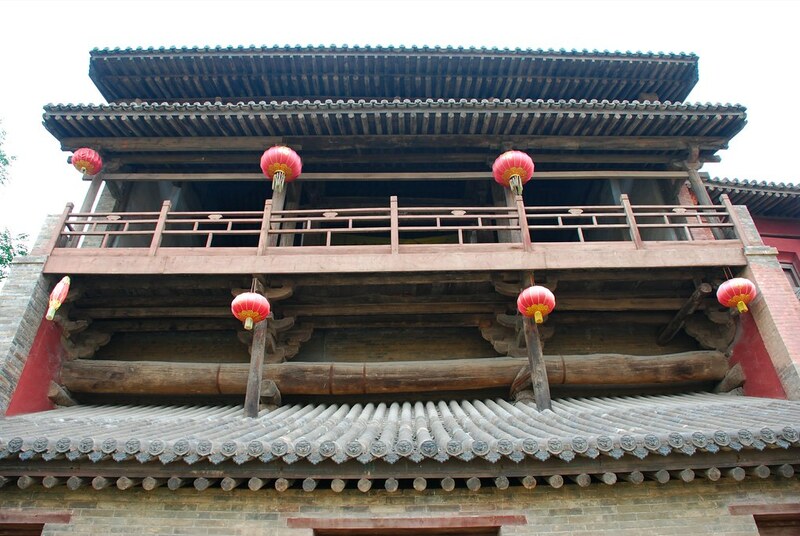 “Baitai Monastery, Sandifazang Pavilion 白臺寺三滴法藏閣 .” In Architectura Sinica, edited by . 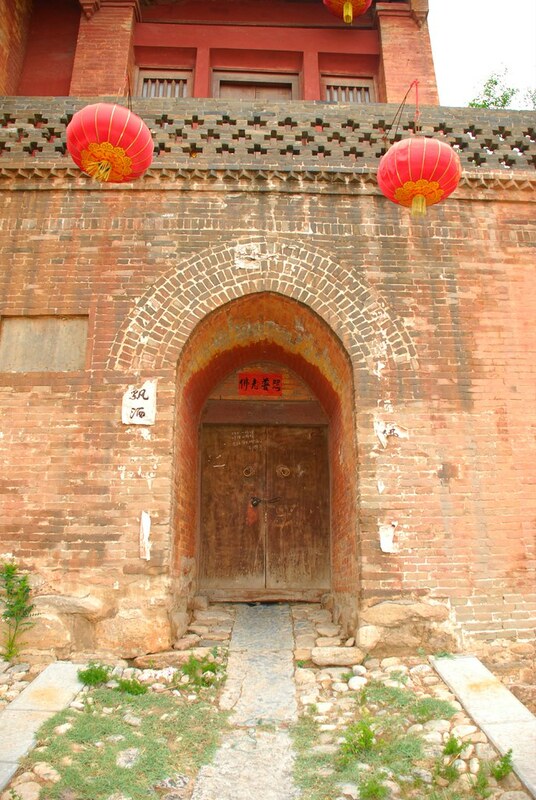 Entry published March 21, 2018. https://architecturasinica.org/place/000126.